The good news for Mexico: Its Federal Government has understood this. ProMexico, the Trade & Investment Federal Agency, part of the Ministry of Economy, is up and running for almost 10 years ago. More good news: All ministries will increase their collaboration with ProMexico in order to become even more efficient at attracting foreign direct investment, promoting exports and the internationalization of Mexican companies. What makes a country become a pro-business entity? How can we clearly tell if there is solid commitment to attract investment as well as increasing exports? I would like to propose 3 main concepts to make this assessment efficient and simple: Steps, Message, Legos. Steps. 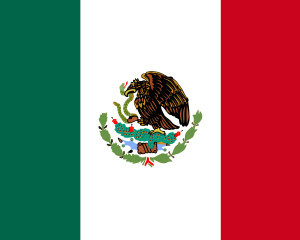 Mexico is a country that, throughout time and painful experiences, has had to understood that in order to become a leader in attracting foreign direct investment in sectors like Aerospace and Automotive, there was a clear need, a crucial one, to create and implement solid foreign direct investment processes that could be replicated over and over again. Almost 40 years ago the Mexican Federal Government decided to focus on and become a leader in Aerospace and Auto. Bombardier, Honeywell, Audi, Kia, Ford are clear examples that Mexico has succeeded. Nowadays ProMexico has created, developed and implemented processes that are repetitive, can be replicated with ease and allows the Federal Government to send out the country’s economic perspectives to those world economies that are eager to take advantage of new opportunities in developing regions and countries. There is more detail on the step by step process for investing in Mexico here. If an entity (country, company, association) wants to expand, grow and succeed, it has to project its potential. Clearly Mexico knows itself. It knows about how young its population is, how many engineers graduate every year, it is aware of its vast natural resources as well as the huge competitive advantage regarding costs of operation. Yet if only Mexicans understands what their country is and can do, no investments would arrive. That is why ProMexico has created a clear, consistent and attractive symbolism/wording to let investors and executives grasp the magnitude of the current business opportunities. Look here to find out more about the ProMexico message. Without human interaction, face to face conversations, immediate response capability, the message will stay as a message without ever becoming a catalyst of new projects. Legos, or the necessary infrastructure, is key in order to use a professional repetitive process and sharing a clear message. Here is where ProMexico also excels: A network of 48 offices worldwide and 28 within Mexico allows ProMexico to be there, in the investors’ and target markets’ backyard. You can find more articles on Global Initiatives and how they can impact your business here. About the author: Commissioner Juan Carlos Briseño, prior to accepting the Los Angeles Trade Commissioner position, worked for 10 years at DHL Supply Chain Management in Mexico, where he created and managed the Project Management Office. While at DHL he got the PMP Certification offered by the Project Management Institute (PMI). Also worked with Dr. Deepak Chopra at the Chopra Center for Wellbeing, where he launched the initiative “Chopra en Español” in Carlsbad, California. For the past 3 years he has acted as ProMexico’s Trade & Investment Commissioner in Los Angeles, enabling foreign direct investment initiatives find a clear path to arrive to Mexico, as well as promoting exports. About Group5o: Jorge Silva is the Global Initiatives Practice Lead for Group50® Consulting. He has over 25 years of global experience in companies ranging from start-ups to Fortune 100 in multiple industries. He brings a unique view of how the globalization of business is best done, measured, and improved. Jorge is a multi-national sales, marketing and business development expert whose core competency is designing and executing creative growth strategies. He is fluent in Spanish and English and has lived and worked in the US, Spain, Singapore and the Philippines.